Jennifer was sent along to review The Horrors on behalf of Mayhem! Magazine in May 2012. Mayhem! 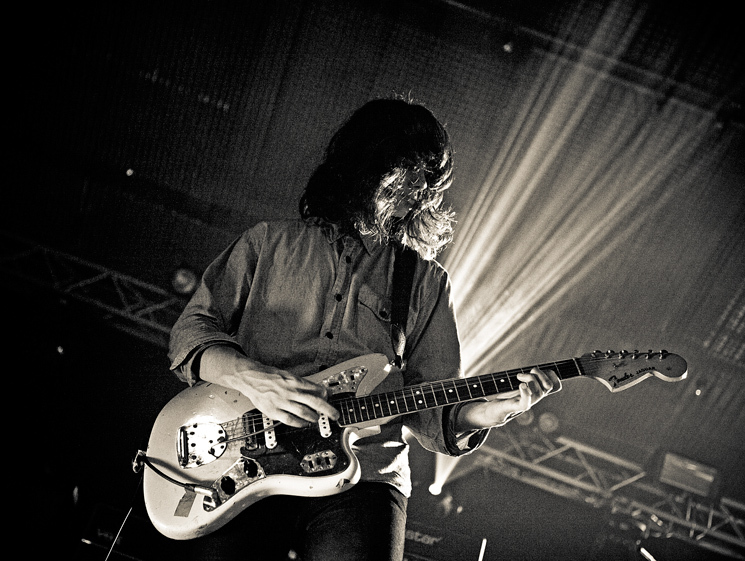 treated ten lucky readers to free tickets for five-piece garage rave rockers The Horrors at the Pyramids in May – so we came along to find out what all the fuss was about! An ample audience filled The Pyramids eager for their performance. On scanning the room we couldn’t help notice that most fans seemed to be older than the band members themselves, perhaps reminscent of the old-school influences of ‘back to the roots’ garage and rave in their music.